Cocoa is both a Color Champion and a producer of a Color Champion. 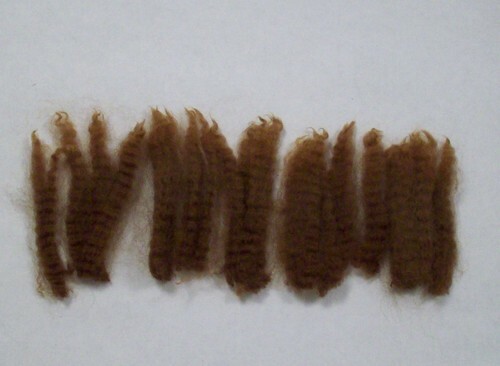 Solid conformation and mature fleece. 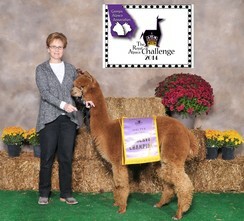 The “Total Package” per the Buckeye Alpaca Show Judge-looks, conformation and bold, dense, fine fleece. She was a part of our '11 Show String. 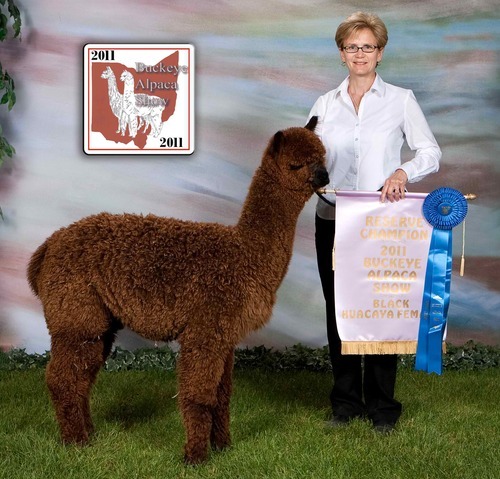 Cocoa's '13 cria, KBA's Caramel DeLight, is a MB female Color Champion out of Craftsman. 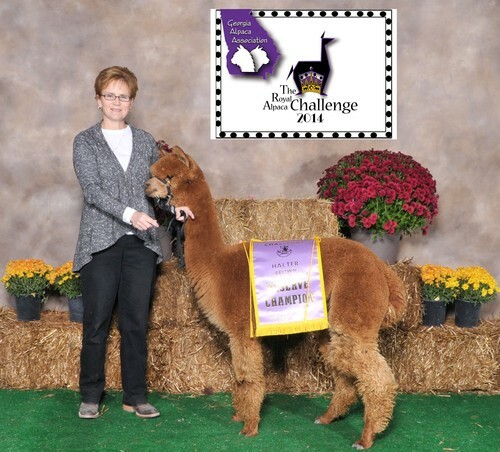 Cocoa's '14 cria is a MB male out of our multi Color Champion grey male, Challenger's Boomer. Dover, currently a 3x Color Champion, combines fine, dense high frequency fleece with a boxy comformation to make the perfect junior herdsire for any program looking to improve their herd quality. 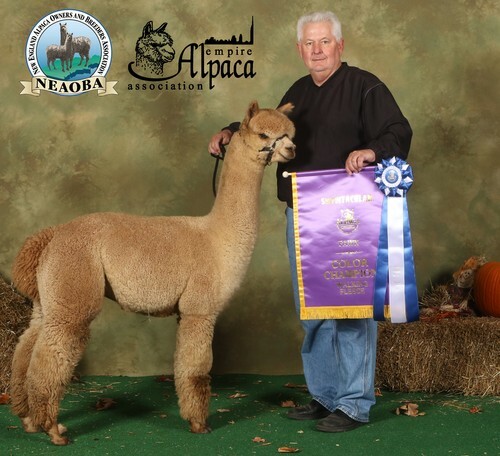 He became a Color Champion in his first show and is following in his sire, Morning Sky's Delaware's foot steps. Judge Jill McCloud stated at the 2017 NEAOBA Fall Show that, "His conformation is perfect! He's a Rock Star!" He is definitely worth a look!!! Caramel’s boxy conformation and great head catches everyone's eye when they first come on the farm. 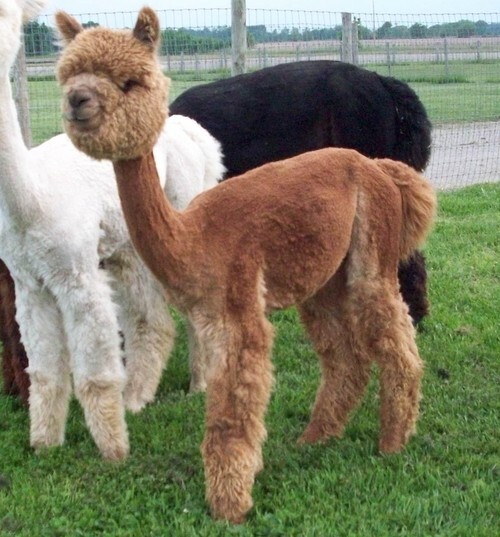 Then when they touch, her fleece quality makes them say “Wow.” Caramel is an offspring of a superstar sire and a color champion dam and demonstrates a lot of the characteristics of both. The combination of her spot perfect conformation and excellent head with her bright high amplitude, low CV fleece makes her a perfect fit for any breeding program. Caramel's 2017 cria is a fawn male out of KBA's Red Ryder.